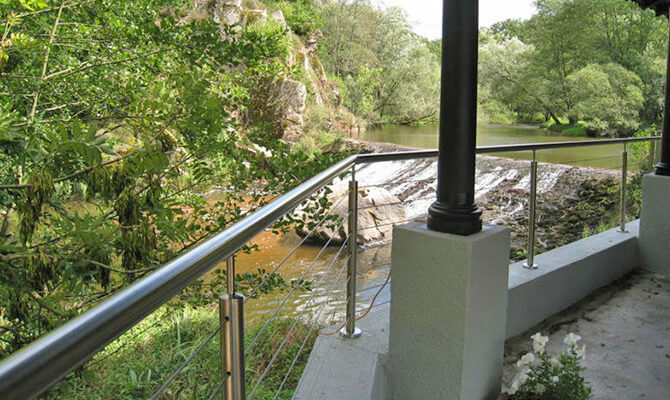 A beautiful stainless steel balustrade installed at a holiday home beside a river in France. 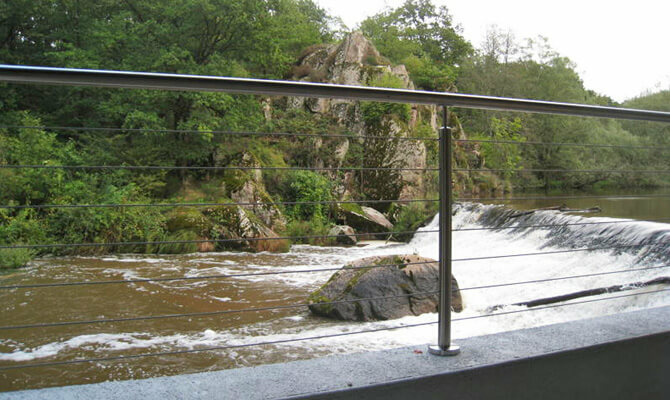 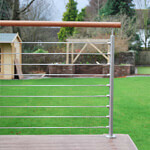 All supplied by S3i and featuring our popular Balustrade Wire Railing Solution. 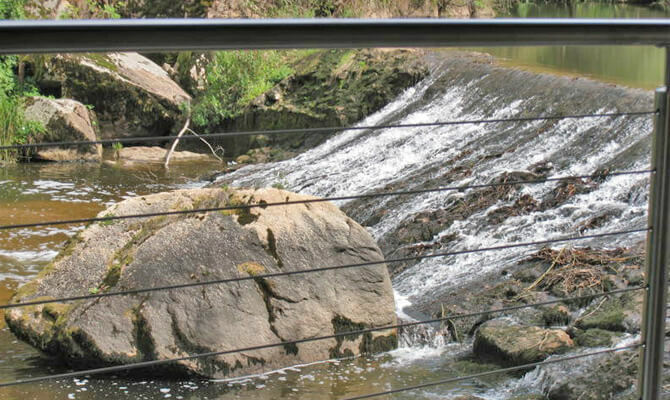 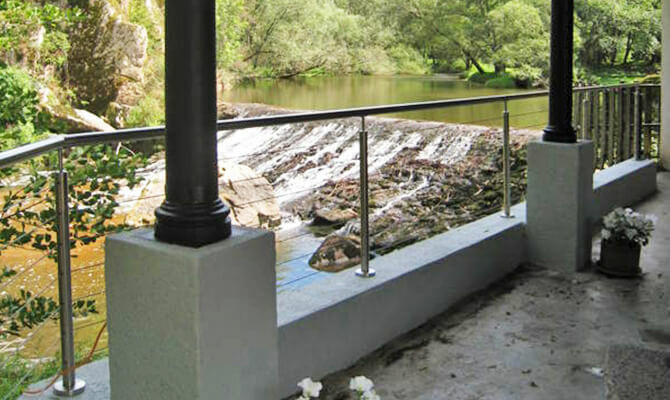 The balustrade and wire assemblies are made from marine grade stainless steel (316 grade), perfect for waterway environments. 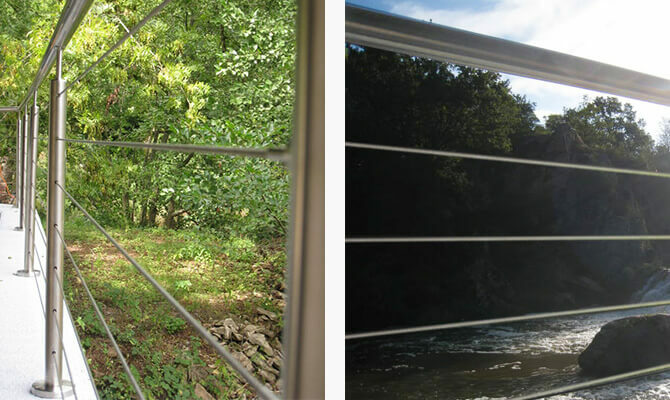 The deck balustrade railing wires have preserved the scenic view perfectly.